The fuselage of the second MC-21-300 prototype of the advance Russian medium-range airliner is to undergo endurance tests, having been delivered to the Zhukovsky (Moscow region) home of the Central Aerohydrodynamic Institute (TsAGI) from the manufacturer Irkutsk Aviation Plant, a branch of Irkut (part of the United Aircraft Corporation UAC). 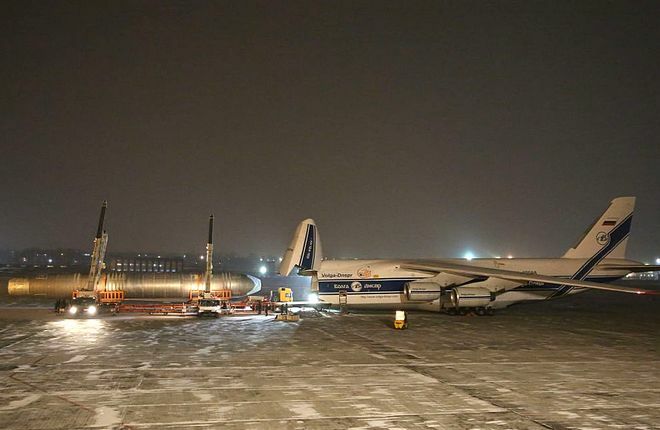 Irkut specialists, together with employees of enterprises participating in the MC-21 cooperation and TsAGI staff will assemble the MC-21 airframe and install the loading system. The endurance tests are aimed at proving the viability of the fuselage design in terms of fatigue strength and operational survivability. During the tests, the airframe will be put through multiple loads simulating at least 180,000 flights. Meanwhile, TsAGI is continuing static tests on the MC-21-300 aircraft. Currently, two MC-21 units are taking part in flight certification tests. Assembly and installation of systems of the third flight test prototype of the MC-21 aircraft are now completed, with its systems at the final stage of adjustment. 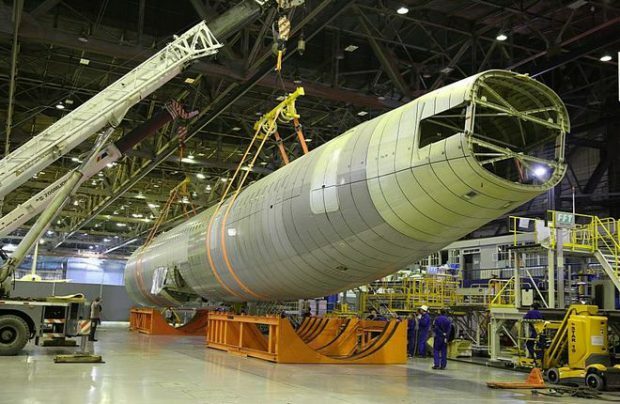 The fuselage assembly of the fourth MC-21 aircraft is also being finalised. The third flight test prototype of the aircraft is to join the testing programme in March next year, whilst the fourth will be ready by mid-2019. Certification of the MC-21, Russia’s advanced narrow-body aircraft project, has been postponed again recently, with the debut of the first variant of the airliner, powered by Pratt & Whitney PW1400G engines, now scheduled for 2020 – and the assembly of the fuselage sections of the MC-21 intended for delivery to a customer, has begun.